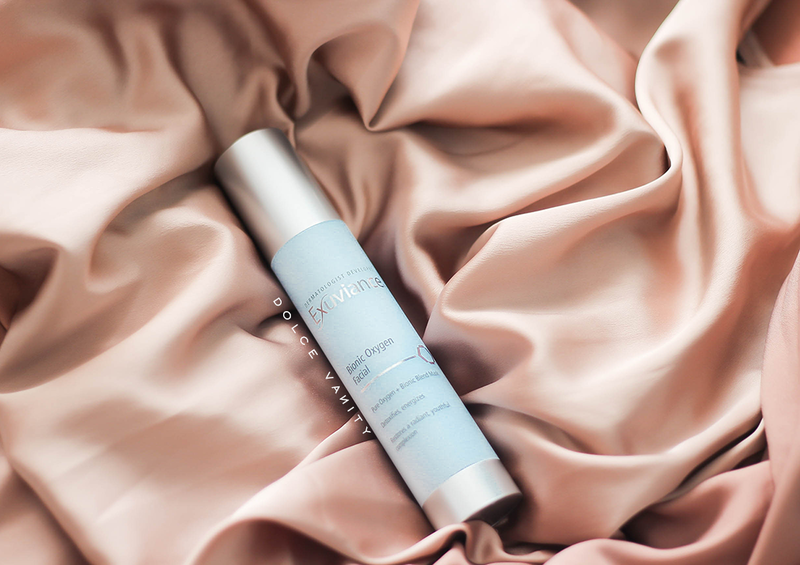 Coming off the back of my Exuviance skincare regimen that I'm still using, is this new addition to my Exuviance family: Exuviance Bionic Oxygen Facial. What is a Bionic Oxygen Facial? It aims to re-energise dull, tired skin. If you suffer from stressed tired skin this facial mask will help to restore a bright and youthful complexion. 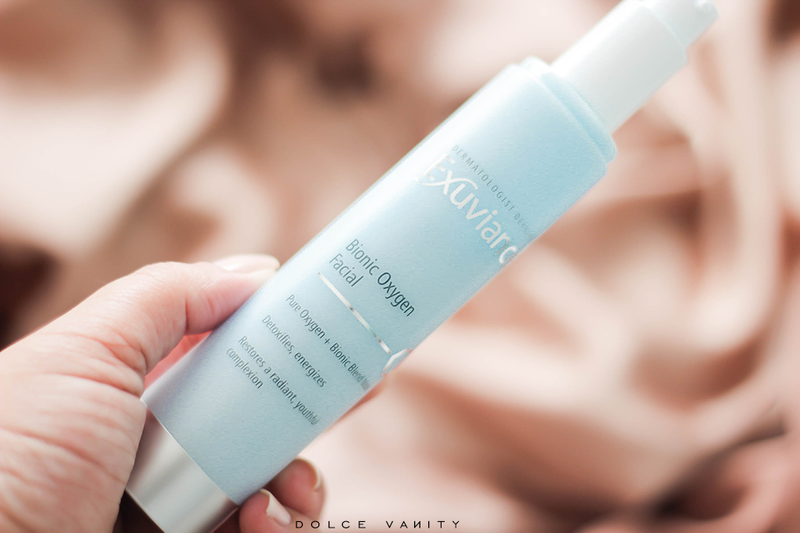 The triple oxygenating blend delivers molecular oxygen to stimulate cellular energy while providing support for optimal collagen levels. The Bionic Complex reveals soft, supple and radiant skin. They claim after just one use skin is transformed feeling refreshed, revitalised and luminous. Benefits of Exuviance Bionic Oxygen Facial? Increases suppleness for younger looking skin, ideal for those who may use an Exuviance peel or when the skin needs a boost of radiance. Helps to revitalise skin for a bright & radiant complexion. - Plus it's paraben & fragrance free. After I cleanse my face, I use about two pumps and massage onto my clean & damp skin. It comes out as a blue cream but applies as a white soft lightly whipped cream. As it's left on the skin for the recommended 5 minutes, a froth begins to foam and dissipate. As it does this, I massage it into my skin more before rinsing and continuing my skincare routine. Besides it being fun to use cos I'm a child lol with the foam appearing and looking like a light cloud on my face. When it's first applied, there's a slight tingling but after continuous use, I noticed the tingling doesn't happen much. When it begins to froth, it's as though I can feel it working and getting deep into the skin, to me the mask smells like fresh cucumbers. I did notice how over time and even after the first use that my face did look brighter and felt supple. After use it feels wrong to now put make-up on such a clean, soft base. I think it works amazingly before I do my weekly PMD microdermabrasion pen to keep the skin looking bright. Now I'm wondering if this would be the same as an oxygen facial at a spa because if so I'm sold but this is probably cheaper and more convenient for me. I could see this being used for upcoming important events or if you're needing to have bright appearing skin during the cooler months when our skin can suffer more from a dull appearance. What's your favourite mask for dull skin? Would you be interested in a Bionic Oxygen Facial? I never really tend to stray from my usual skincare regime, and the £60 price tag seems a bit steep, but it would be interesting to see how this compares to other products across different price ranges. I'd love one of these facials. I recently had a really good facial from Elemis in John Lewis. I've got a combination skin so basically both dry and oily. Would you recommend this for my skin type? Definitely honey, it's suitable for all skin types. We all deserve hydrated skin and a glow. I really like the idea of the foaming cream, sounds really easy to use with great results too. This sounds like such an amazing and luxurious product. I haven't tried one of those bubble type masks yet, but this sounds fab! I like the idea of it brightening my skin too.